Download Merry Christmas Party Flyer Template PSD. Christmas is the season of giving. 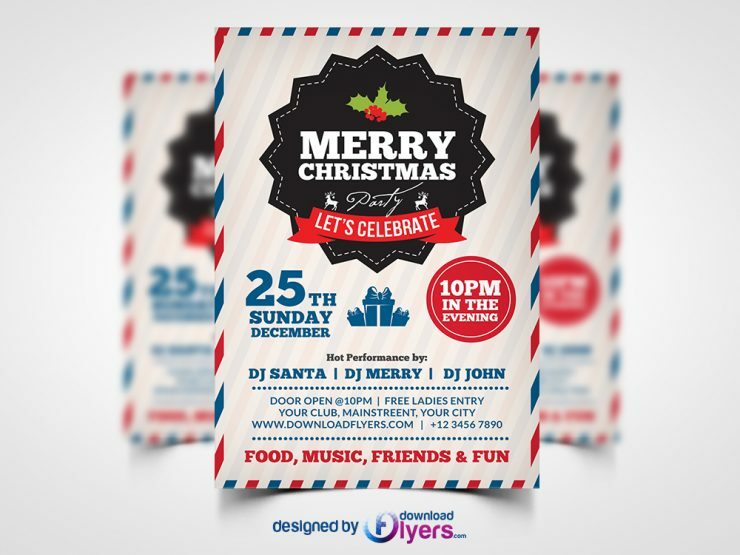 Throw a Christmas Party and promote it the best way possible with the Merry Christmas Party Flyer Template PSD. This fun, stylish, festive flyer template is all about the fun of Christmas, complete with striking text, the colors of the season. Remember to include all the details of your bash time and location. Merry Christmas Party Flyer Free PSD Template fully-customizable, which means you can modify this Free Merry Christmas Party flyer template PSD to include all of your party’s details. Add in the location, the date, and throw more personal information to get the Christmas spirit going. Hope you like it. Enjoy!